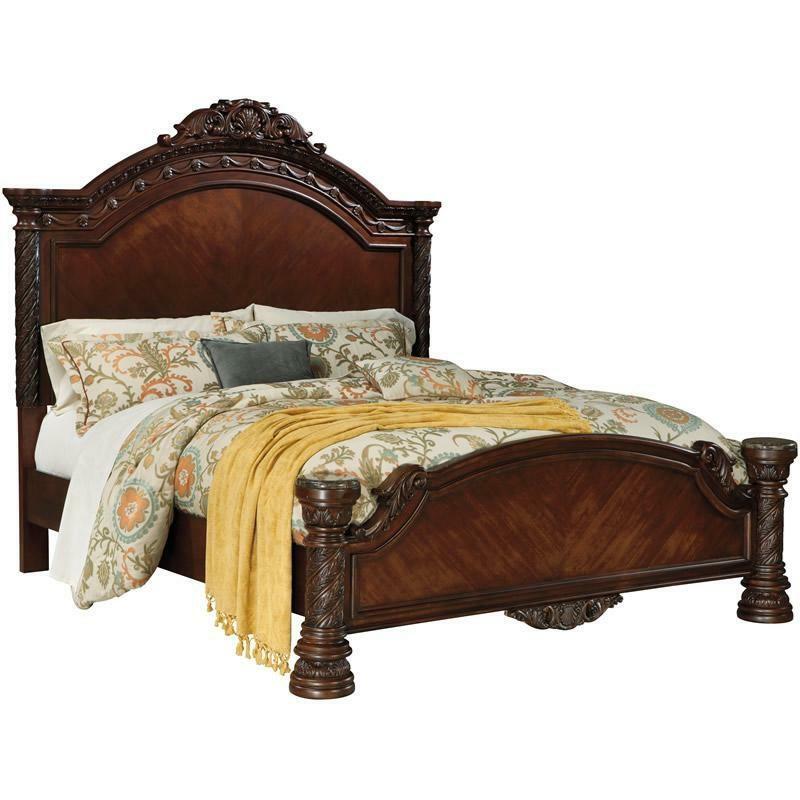 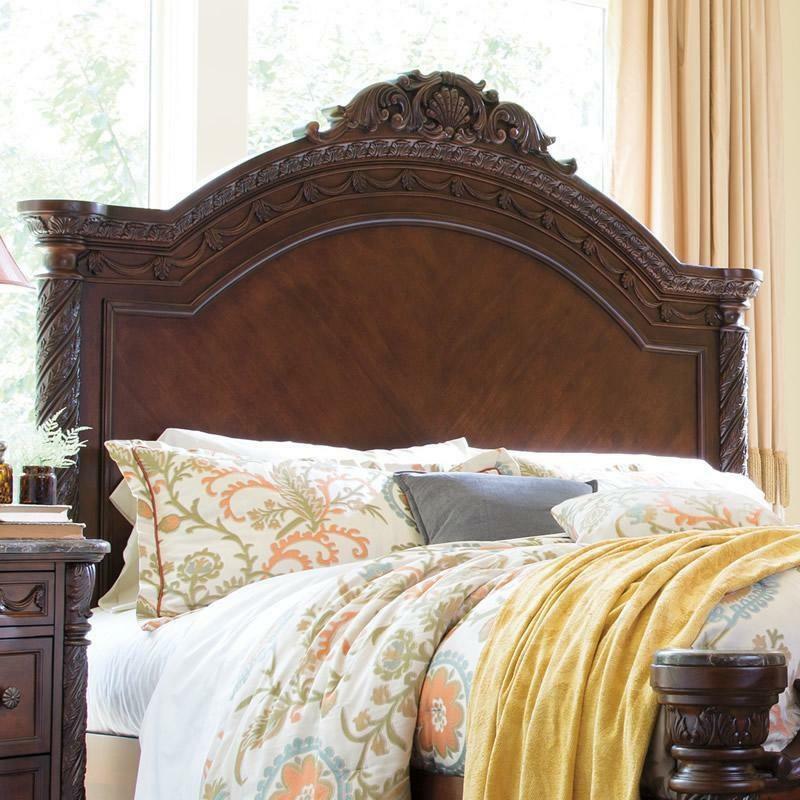 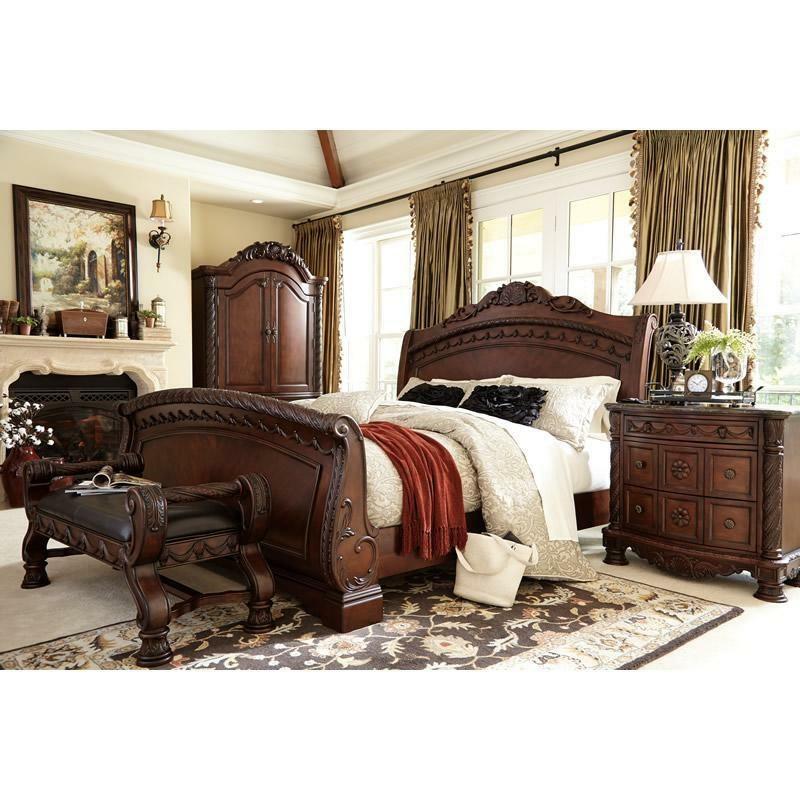 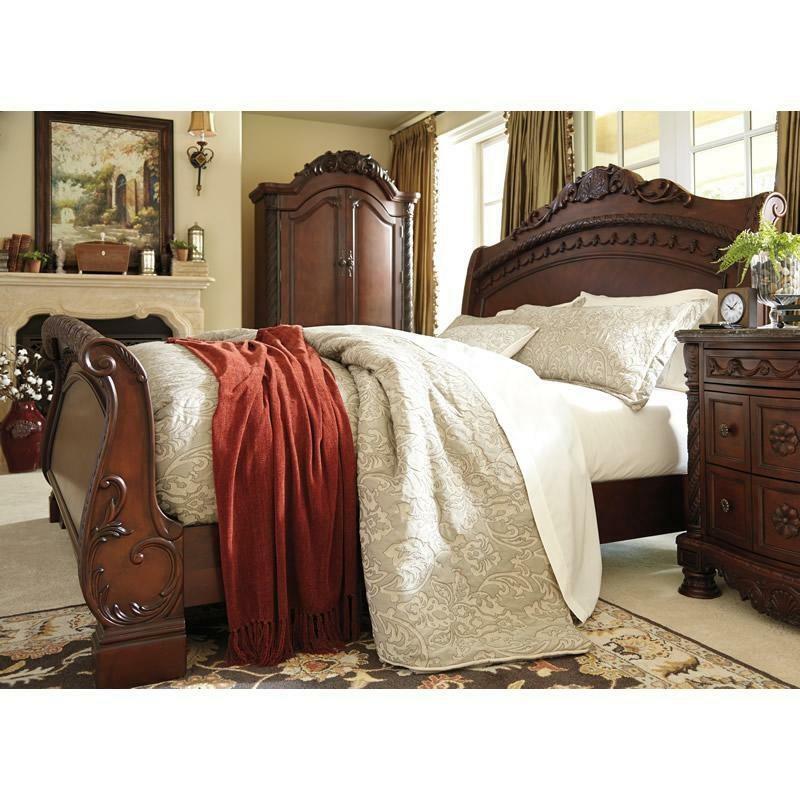 A rich traditional design and exquisite details come together to create the ultimate in the grand style of the Ashley Millennium "North Shore" Queen Sleigh Bed. 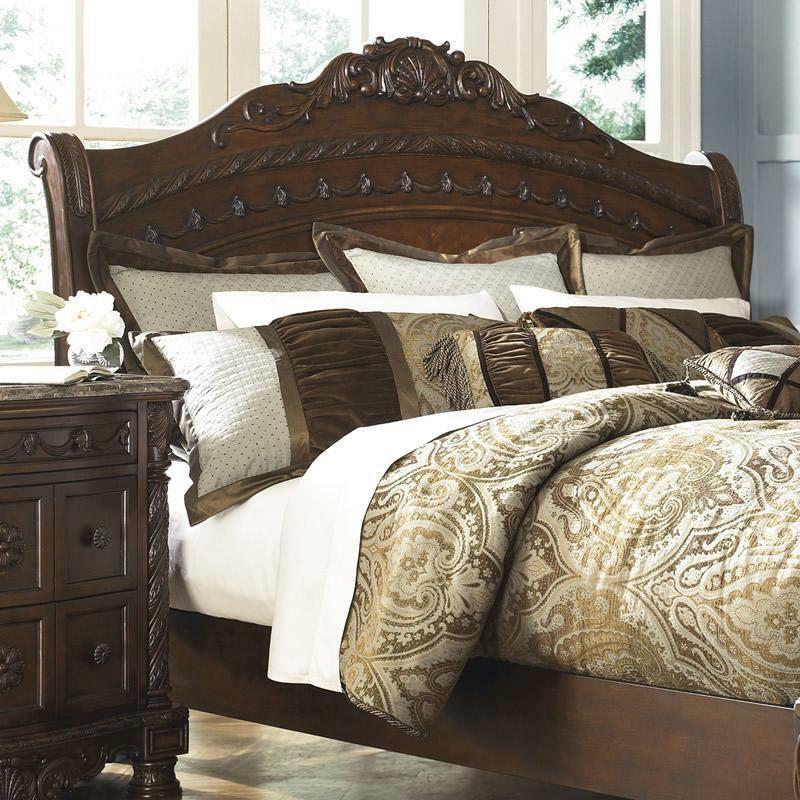 The opulent brown color flows beautifully over the ornate detailed appliques to create a rich elegant atmosphere to any home environment. 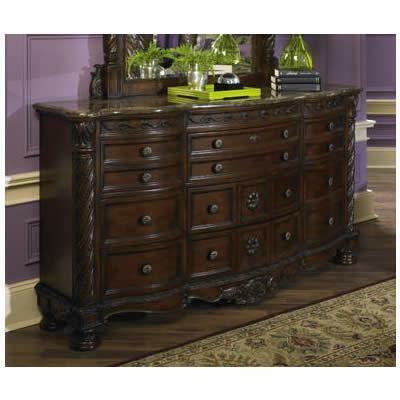 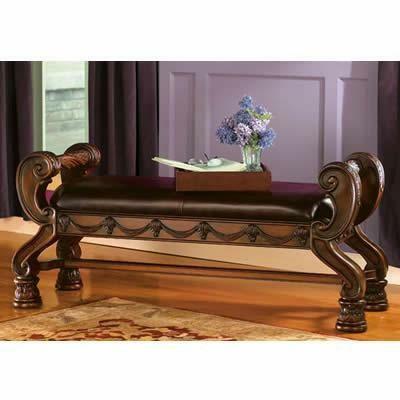 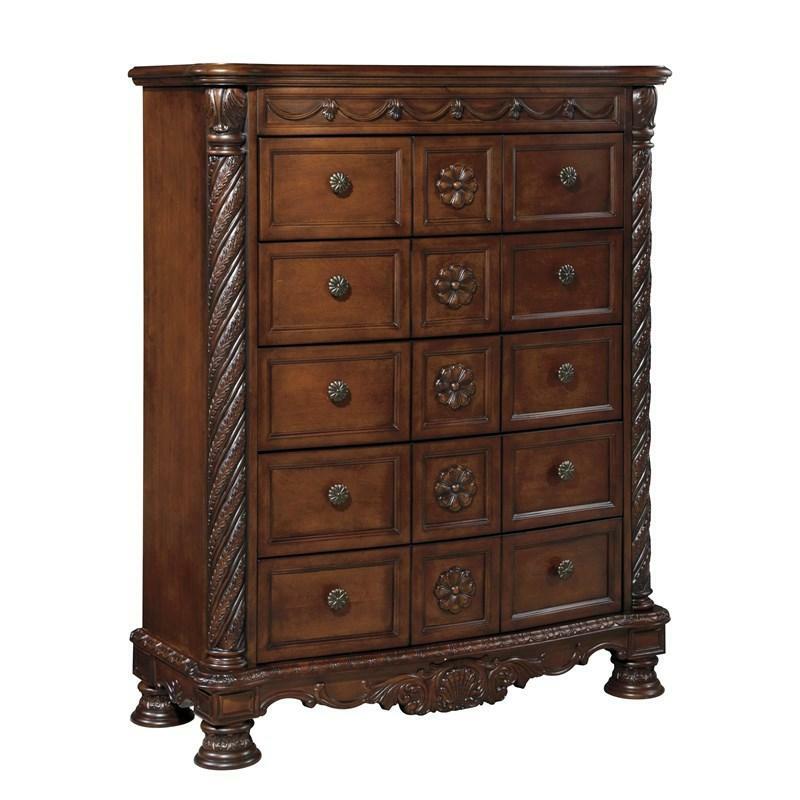 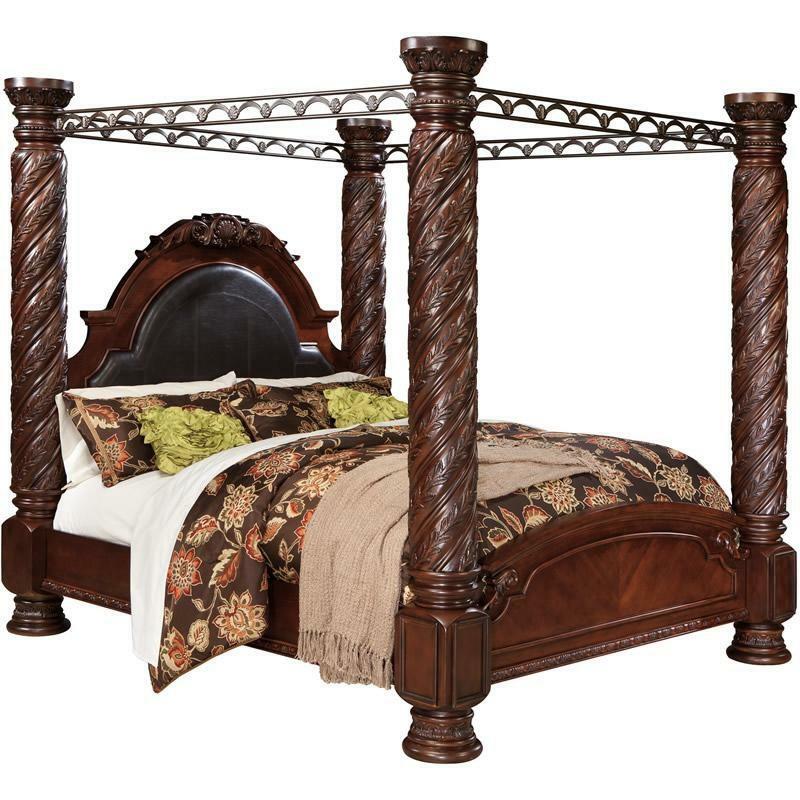 With a serpentine shaped design, this furniture takes traditional style to the next level. 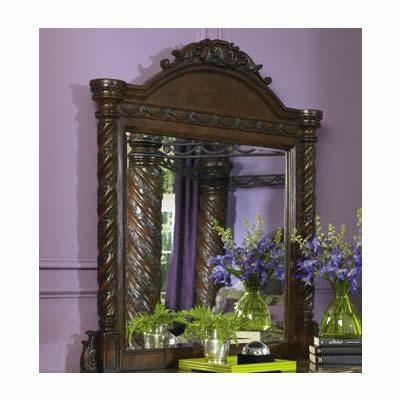 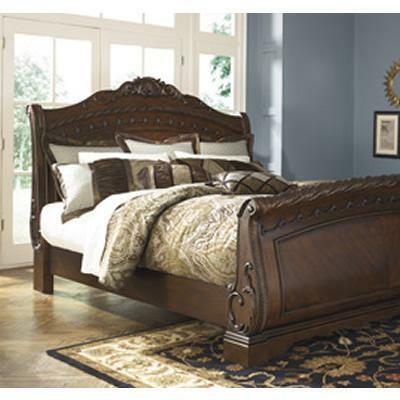 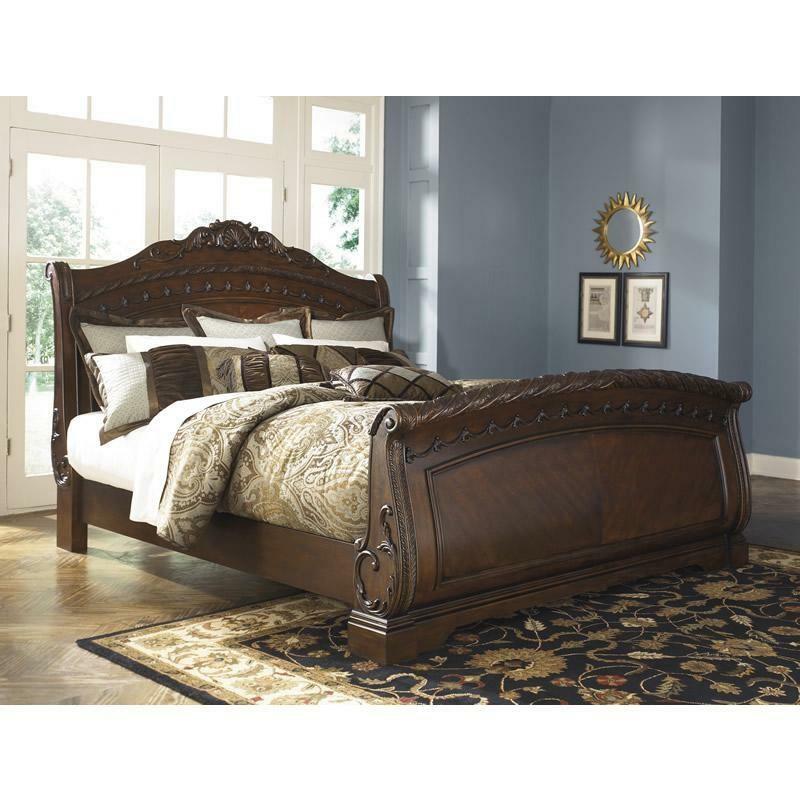 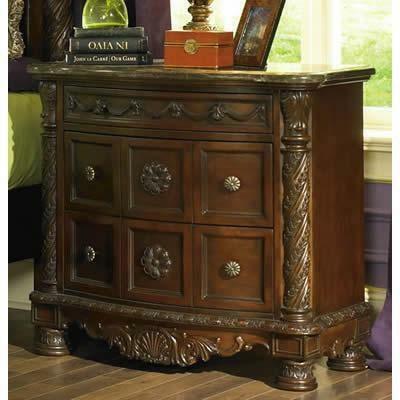 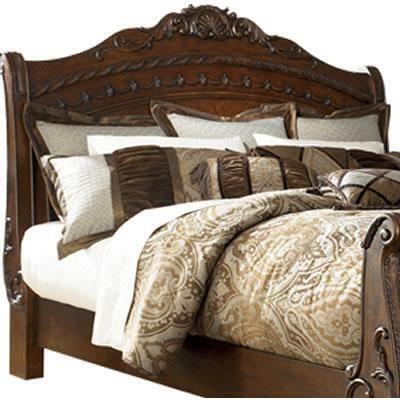 Transform your bedroom with the rich style of the Ashley Millennium "North Shore" Queen Sleigh Bed.